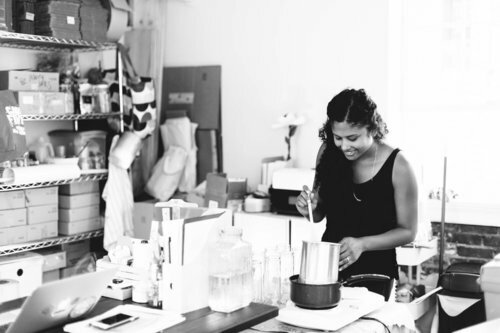 Join us to pour your own all natural scented soy candles with artist + chandler Amina Ahmad of Handmade Habitat! 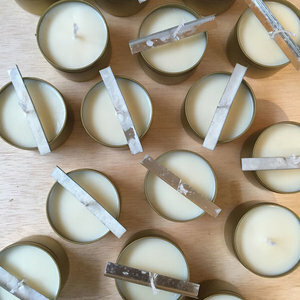 In this workshop, you'll learn about sustainable candle-making and get to make and pour your own two soy wax candles embedded with botanicals. All materials, glass and equipment will be provided. Participants will take away two 12 oz candles, and a bundle of natural palo santos incense sticks. Amina is a slacker yogi, career nester and lifelong DIYer that discovered the adverse effects of candles while studying Environmental Science at the University of Maryland. She started making her own eco-friendly soy candles in her college apartment. By using only natural materials, her creations purely and non-toxically illuminate the home, uplift the spirit, and inspire the soul.